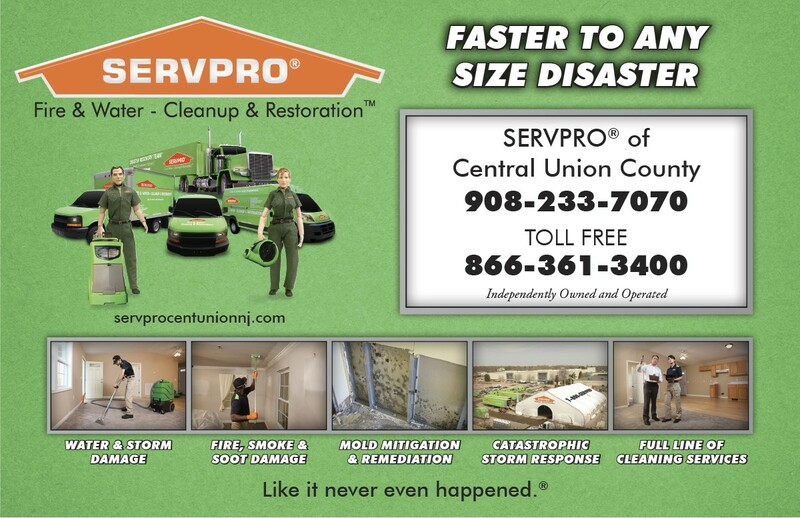 SERVPRO of Central Union County and Western Essex County provides Fire/Water damage cleaning and restoration and reconstruction, Mold Remediation, Graffiti cleaning, Deodorization, Air Duct and HVAC System cleaning, Biohazard and Crime Scene cleaning. We provide these services both on an Emergency and Non-Emergency basis. We have been in serving the area since 2002, are certified by the Institute of Inspection Cleaning and Restoration Certification (IICRC), the National Air Duct Cleaners Association (NADCA), active with the New Jersey Chapter of the Indoor Air Quality Association (IAQA), and are an active Alacrity Services contractor.